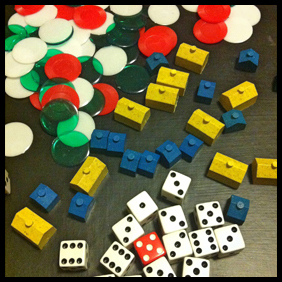 A unique game for six-sided dice. Simulate small tribes trying to survive and then produce art. A game is quick and never the same as the last one. Tribes is also available as a complete game for $17.99 at the Gamecrafter. Or as a PDF download for $1.99 at DriveThruRPG.